They say money can’t buy happiness, and All Happy Families confirms that. I think this is a book that you’ll either love or hate, depending on your penchant for messed-up rich people stories. If you like memoirs that give you a peek at the dysfunction behind the gilded doors, then it’s a pretty interesting tale, albeit a sad one. But I will warn you that if you find those stories irritating, then you’ll probably want to skip this one. The story starts at the author’s wedding, but it’s really about the larger history of her family, and her fiance’s family. I think we’re all guilty of looking at other people’s families and assuming they must be happier due to some circumstances: money, how good a couple they make in public, etc. 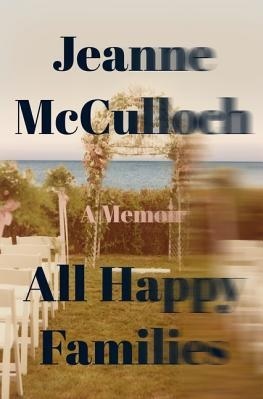 All Happy Families picks apart that notion and indeed, most of our notions about love, loyalty, tradition, and loss. Three is definitely a crowd for a group of estranged friends trying to make amends on a girls’ getaway. When Ashley, Natalie and Lauren book a vacation in Mexico, they’re hoping it will be a chance to repair their damaged relationship. But after a rowdy girls’ night out, Natalie and Lauren wake up to discover Ashley has disappeared. Did she leave of her own free will with a man she met just days earlier? Or is it possible he’s harmed her? Then there’s the explosive avalanche of secrets the three women have been keeping from each other. Could the tension between them have led to a violent confrontation? I’m teetering between three and three and a half stars for this book. I think that when I picked it up I expected more light, witty commentary and humorous anecdotes about life in the White House. There are some humorous stories, but there are also a lot of amazing, frustrating, and sad stories. It’s less of a humorous book and more of a general memoir/self-help tome, which I discovered partway through (and which reminded me to read book jackets more carefully whilst still at the library to avoid false expectations!). I’m trying to sprinkle more nonfiction books into my reading list, and Who Thought…? was a pretty good addition. 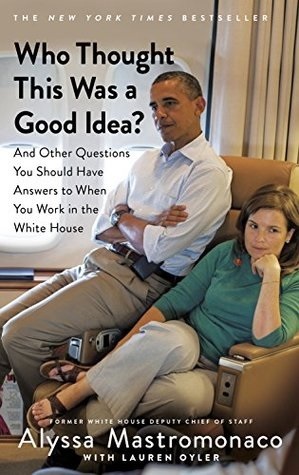 Covering the author’s years working in the Obama administration, it’s a mixture of stories about her White House life and honest advice to young women looking to navigate the professional world, whether in government or the private sector. The book is divided into chapters focusing on the traits she feels are required for success, such as being prepared and showing kindness, and I felt like she had a lot of very down-to-earth experience packed into those chapters to back them up. It’s also a lot less condescending than a lot of the “self-help” books I’ve picked up in the past. 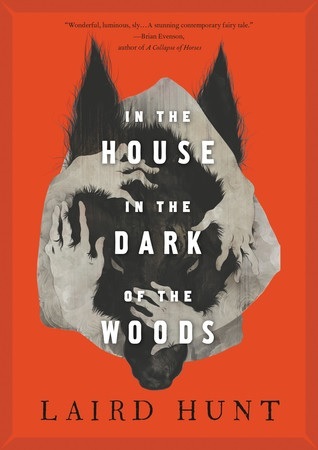 I think that In the House in the Dark of the Woods is one of those books that people will either rate very lowly (and possibly shelve as DNF), because they find it too weird and nonsensical; or rate very highly, and write long reviews praising the genius of the author in crafting it. One ordinary night, Emma and Cass Tanner disappear. They drive to the beach and seemingly dissolve into thin air. Or maybe only Emma goes to the beach—there’s nothing to say Cass was actually with her. Or maybe they never made it to the beach, though how else do you explain Emma’s shoes left so neatly at the edge of the water? That’s not where the story begins, however. It begins on another night, three years later, when Cass Tanner reappears. She has a story to tell about what happened that night, and where she’s been for the past three years. Or maybe she’s gotten some of the details confused, and this memory is a product of a shattered mind. Or maybe she’s flat out lying—something about her story doesn’t sound right to Abby, the FBI psychologist who worked the original case and now returns to interview Cass. Walker doesn’t mess around with her words. Clocking in at a succinct 300 pages, Emma doesn’t waste your time with scenes or descriptions that are mere fluff. It’s a fast and tightly edited read. The family drama in this book is so out and out crazy, and yet, these characters never feel like caricatures. 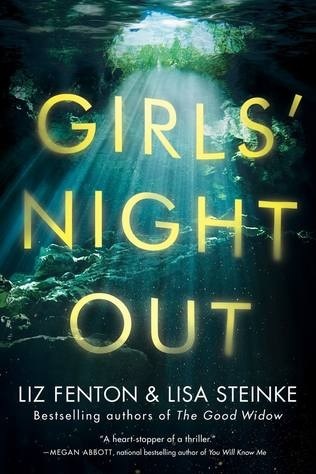 I’ve read quite a few thrillers where I just never quite connect to any of the players, or where the villains feel one-dimensional. But even if I didn’t necessarily like Walker’s characters, I understood them. She’s a master at creating psychological suspense with people who seem completely normal on the outside, and almost a little bit sympathetic. So now that I’ve convinced you to read this book, why are you still here? Go grab a copy and curl up for a binge-reading session! 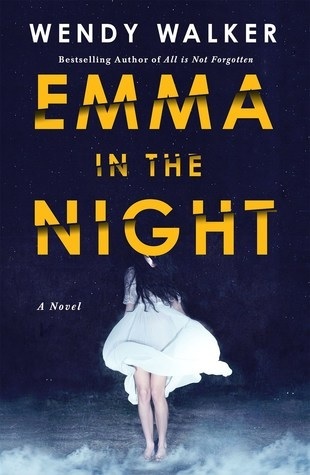 Emma in the Night, by Wendy Walker (308 pages). Psychological thriller, suspense, mystery. Four out of five stars. Find it on Goodreads and remember to follow me while you’re there! Like psychological thrillers about unreliable narrators? You might also like The Last Time I Lied, by Riley Sager (review here).